Creativeworld 2016 opens its doors on Saturday, January 30th as the largest, international trade fair for arts and crafts in the world. It is THE place to discover the latest trends and innovations in the market, and try out new materials and techniques. There are around 300 manufacturers from 30 countries sharing their products and the new trends in art. The fair coincides with Paperworld and Christmasworld all in the heart of Germany, at an easy location to get anywhere else in Europe. You can purchase your tickets online, checkout the event calendar and view the list of exhibitors on the Creativeworld Website. 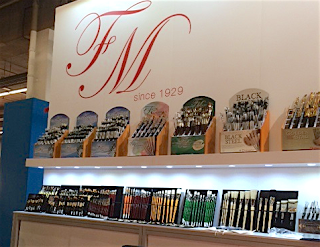 We will be there in Hall 4.1 at Stand J 31, come join us and see our brushes and meet our staff. Egg Tempera is one of those unique mediums that has been around for centuries and has a rich cultural history, yet is still practiced similarly to Renaissance artists. Because of it's durability and brilliance, egg tempera attracts artists that are interested in learning the technique and keeping their works for decades to come. Egg yolk consists of approximately 50% water and 25% fats, so it mixes easily with water or with oils and dries very rapidly to a strong, permanent surface. It is a brilliant, semi-translucent paint that dries almost instantly. Since it does not lend itself to washes, wet-into-wet, or oil-style blending techniques, egg tempera is best suited to short, overlapping strokes using cross-hatching. If beginning the painting with a layout drawing, use colored pencils or pastels as graphite or charcoal will show through and affect the finished painting. To reduce the dangers of cracking with age, paint on a firm surface like a wooden panel. There are many recipes for making egg tempera, usually consisting of a pigment ground into water (paste), plus egg yolk, water and sometimes vinegar or alcohol. Since there are so many recipes and it goes on differently than other paint, it is helpful to have some solid instruction and resources on using egg tempera for the first time. Many artists paint very traditionally, working on rabbit skin glue gesso and mixing with precision. Others work in alternate media with oil paint and use modern acrylic gessoed panels. 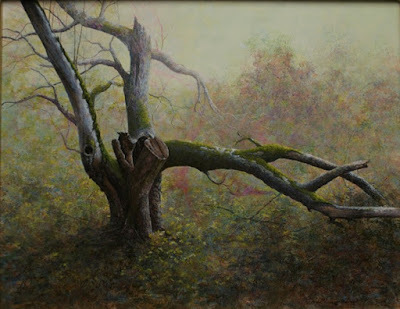 We suggest using small round brushes for working in egg tempera, like the Faux Kolinsky series, which is one of Mark Meunier's favorite brushes for his paintings. The Practice of Tempera Painting by Daniel V. Thompson, Jr. If you work in egg tempera, share your work with us, we're always interested in seeing your work. 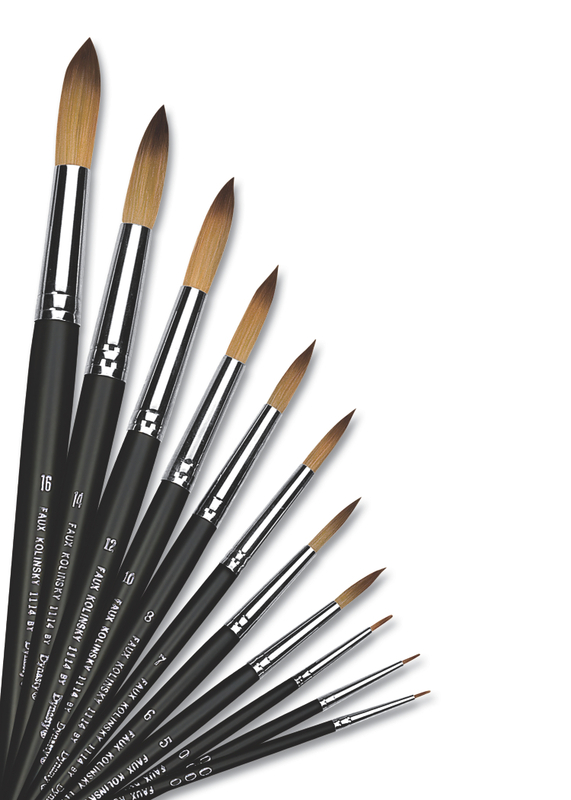 Beau Blanc is our premium white bristle brush. 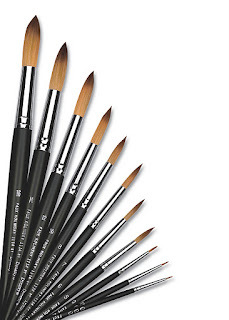 It is made with the finest quality bristle from Chunking; with the best seamless, nickel-planted ferrules; and the smoothest, white birch long handles for the most comfort, balance and longevity in a brush that you can find. It is a long standing favorite of many master oil painters and works equally as well for heavy body acrylic painting.